It is not too often that a completely new financial product appears on the market place for individual investors. We had ETFs more than a decade ago and they revolutionized investing by offering access to a wide range of assets such as commodities or sector indices, not previously easily tradable by small traders. More recently binary options have been made available to small investors and they are marketed heavily on the Internet. So the question is how novel are these tools and are they worth trading for the regular person. A binary option is quite different from any other financial asset and it is also different from most options. As a matter of fact if behaves more like a fixed odds bet. Let’s say the investor predicts that the euro will weaken in the next few days versus the dollar. Can he take a position based solely on this view? Yes now he can. If he buys a put binary option on the euro and at expiry time the euro is lower than at the time of the trade, he will nearly double his money. The payout of this instrument is binary: it is either one of two numbers, like 85% or zero. Alternatively some brokers make the losses easier to swallow by paying 15% in case of a wrong prediction, but they have to offer a lower return in case of a correct prediction, such as 70% instead of 85%. One advantage of binaries is that unlike other investments the outcome is perfectly known at the time of the trade. There are only two possible final values, right or wrong. The question of this article is why trading them, and we can see a number of reasons why. 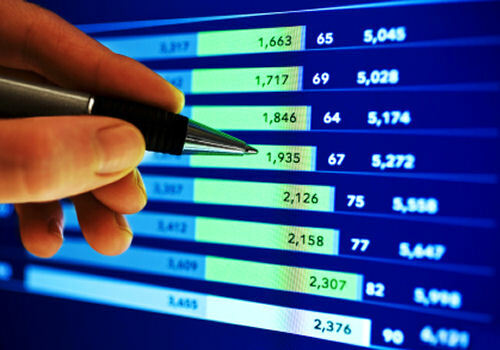 First of all these financial tools are unique as they let the trader take a position based only on his forecast about market action in the near future. There is no other way to get a nice fixed return by getting the market direction right. If the trader were to trade the FX market directly instead, his payout would be unknown, as well as his risk/return ratio. Because the return would depend when he exits the position profitably, while his realized risk would be dependent on how he exits the trade at a loss. These numbers are unpredictable as they depend on where the price is when he closes his position. On the other hand if he had traded binary options instead, he would have known his risk and return exactly. Another advantage of binary options is their flexibility and versatility. There is a long list of underlying assets (like the euro currency in our example) that can be chosen to base your binary option trade on. Not just currencies, but also international large cap stocks, stock indices and commodities. This way it is easier to find some asset for which you have an opinion about. Option features can also be tailor made. You can choose the start time, and you can also purchase more precise option types like the range option which predict that the asset price will remain within a range during the life of the option, or alternatively will break from the range. Or you could buy an option with an even higher payout like 200%, but where the market needs to make a certain move before reaching the strike price. In summary some traders will enjoy trading binary options because of their unique features. But these instruments are not as simple as they may appear, so some time is required to better understand them first before trading them. Using a demo account is the best way to get started. Really its a good financial blog.No one can challenge this.This blog is very very important. The binary trading is the good way of making profit in the business. Because it give the fast transaction and fast commodity exchange. If anyone need a view for financial investment than this post is really helpful for that people.